Russia continues to take an aggressive stance towards Eastern Europe, in attempts to bully them to bow to Moscovian pressure. Russian military, in conjuction with Belarus, recently conducted war games simulating an attack on Poland involving amphibious landings and nuclear missile launches. Fresh in the minds of Poles is the 70th anniversary of the Soviet invasion of Poland, which was just a few months ago. 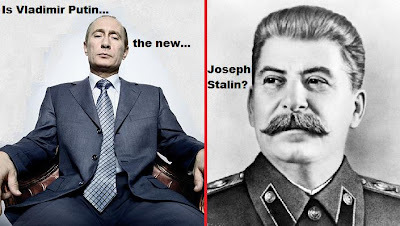 Vladimir Putin seems to be pushing Russia back to the "good old days" of the Soviet Union. Will President Obama and the West stand up for eastern Europe against the newly-revived Russian Bear?